Is this a Post-Blog Era? An interesting question to ask, but it’s something that I’ve been pondering for a while. Ev Bogue brought this back to the front of my mind recently with his Google+ post stating his belief that we are in a post-blogging era. Is this really a blog-free era? And if so, what does this mean for companies (if GM is to be believed, buying Facebook ads doesn’t help with sales) or personal brands/regular people who are interesting in elevating their profile? These are some of the ideas I’ll be tackling in the near future here. I’m curious about what your thoughts on the issue are. The Two Most Powerful Words in Strategic Communications? Many, many moons ago, when I was svelter around the waist and with less gray in my beard, I wanted to be an EMT. (emergency medical technician… you know, a dude in an ambulance) My interest developed after taking a first responder class in college, and I wanted to carry on my studies, possibly even working my way through school as an EMT. As my instructors drilled into my brain repeatedly throughout class, it was difficult understanding with certainty what was happening to a patient, because symptoms for a problem (i.e. a stroke) could manifest one way in one person, and a slightly different way in another person. Just enough to leave you wondering for sure what the problem was. So what does this have to do with business, communications and social media? Businesses, like people, are multifaceted. Large or small, Fortune 100 or Mom-and-Pop shops, they are all different entities mostly looking for the same goal – profit. Some consultants want to tell you that all businesses should act like the small, family-owned business, listening attentively to each customer. While that works for the small business, it’s harder to change the culture ingrained into larger companies into acting like a small business. That doesn’t mean that larger businesses shouldn’t engage in social media. Hell, many large companies have great social programs. It does mean that each company has a different way to achieve social media nirvana, locating what works for them. It means that cookie cutter social media programs won’t necessarily work. You don’t just add water, mix and cook at 400 degrees for a successful program or strategy. In short, you need to do your research. Do your homework! Conduct your communications, social media and other audits, ask questions. Make sure any social media company you work with knows how to do this, ask for definable and measurable goals. A quick note to PR pros and publicists out there. If you work with a very high profile client, and your client is announcing a new product at a trade show – don’t schedule the hour-long autograph session before the event announcement, unless you want a lot of pissed-off reporters at the end of the event. I was at CES for a couple of days this week, and a friend and co-worker of mine got stuck in the cluster around a Justin Bieber “technology” announcement, and all I can say is the Biebs’ PR team really needs to learn some actual PR and basic event planing principles. Just a quick post to get this off of my chest. OK, these things are not dead. Let’s all get over the fact that despite everyone’s best bet, they aren’t dead. Before we all jump on the easy linkbait stories about the death of RSS, or Public Relations, or JR Ewing, or whatever, let’s all take a step back and think about what ever is being touted as dead and if it’s really useless to business needs, instead of our needs. That’s what should be an overarching theme in social media, business and public relations for 2011. Is there going to be a shift back from the “social media” expert to an incorporation of social media into your communications plan? And in news from Northern Ireland, where the deep winter freeze has wrecked havoc on water pipes throughout the small nation during Christmas-time, and the country’s water supply service had very limited plans to help provide water to patrons, what could add to the problem and potentially cost the head of Northern Ireland Water his cushy 250,000-pound/year job? If you said “bullshitting the media and not answering questions until you get called out with irrefutable evidence of screw ups, and not addressing the growing public outcry asking what the hell is going on,” then you’d be right. In yet another instance of not planning ahead for a disaster, and then not answering the media’s questions when said disaster happens, the Belfast Telegraph is reporting that Laurence MacKenzie, the head honcho of Northern Ireland Water is preparing to leave his job because of the way the organization screwed up the current water crisis going on. This comes on the heels of multiple radio shows by BBC Northern Ireland’s Stephen Nolan, the head of what Nolan daily refers to as “the biggest show in the country,” (because at a projected 100,000+ daily listenership it probably is) digging into what was really going on with the lack of water in Northern Ireland. Nolan did what any good journalist would do – he didn’t take the story at face value and dug long enough until he figured out that one of the largest hospitals in the country, the Royal Victoria Hospital, was without water and having to hand out bottled water while telling the media at the same time that they were never doing this. And at the same time that multiple news outlets are reporting that he is preparing to leave his office, MacKenzie steadfastly continues on stating he’s not getting ready to leave his job, and he’s definitely not leaving in on Wednesday. If the media is right and he leaves, then we’ve got one more instance of him trying to mislead the media to the end. Oh well, at least he’d be consistent. I’m not going to get preachy here, really I’m not. I’ve said enough times that if you are going to do something stupid and lie about it to the public then you are going to get caught, end of story (yet for some reason people keep doing it). My only advice in this instance, as a PR professional, is to come clean about what happened with this organization, allow the CEO to throw himself on his sword, cash in his severance package, and start anew with a new leader and a new promise to not do this again. Not the disaster, because those happen (and it’s good to prepare for them), but the lying. And in a rare move of honesty and honorable service to the public, live up to that promise. Don’t repeat the past, the past is there to guide the present into the future. Too many organizations are mired in “how things used to be run” and how to reexamine bringing the past back into the present. The past is in the past for a reason, to be learned from to help you achieve a tomorrow that is better than today, not for you to bring it back from the dead. The past is in the past for a reason. Leave it there and learn from it. We try to focus on the past for so much because we want to, for lack of a better term, “hoard” time. Too many of us want to “turn back the clock” and go to the “good old days.” In personal lives we want to regain our lost youth, and in business we want to return to a day when there was “more” to go around (jobs, wealth, financial security, etc). While in our society we enjoy poking fun at people who are called “hoarders,” considering ourselves to be above them – but it does not dawn on us that too often in the business world we end up “hoarding” many other things: money, power, desire, contacts, etc. Much like the person who has too much physical clutter in their homes, businesses run the risk of running into too much corporate clutter which warps our mental state as much as any physical junk pile. 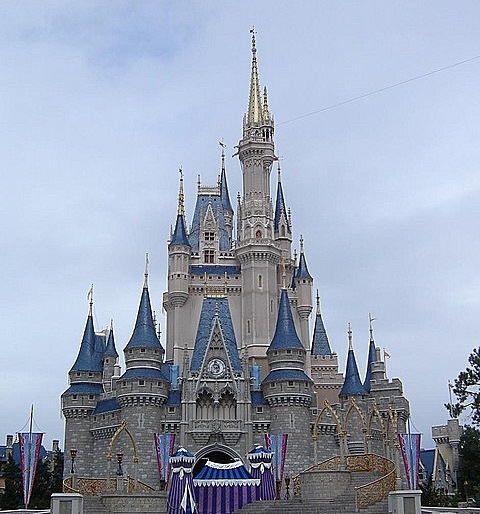 Walt Disney World and Disneyland parks are often called “The Happiest Places on Earth,” however if you ask many of Disney’s detractors they’d say that Disney’s marketing just tells a good story. Regardless of how you view Disney (I personally am a huge fan), you should grab your Moleskein or netbook and take a trip to either park for a couple of days to take notes and learn how to “Disney-fy” how you tell stories. When I talk about “Disney-fying” your story, I’m not talking about making a simple story, I mean think about how to create a more immersive story, using multiple media, online and offline, community development and more. This also goes to show you that you the importance of having people knowledgeable about storytelling and the elements of your organization, people who can’t fake this interest and knowledge, engaging with your audience in these multiple media. How do these elements work together, how do you play on their various strengths to tell your story?